This year we should see a Nightmare Crazy 8 colorway release. Keeping with the same theme, a reflective purple upper, glow in the dark soles and black and white stripped shoelaces return. No work yet on any other Nightmare releases from adidas this year. 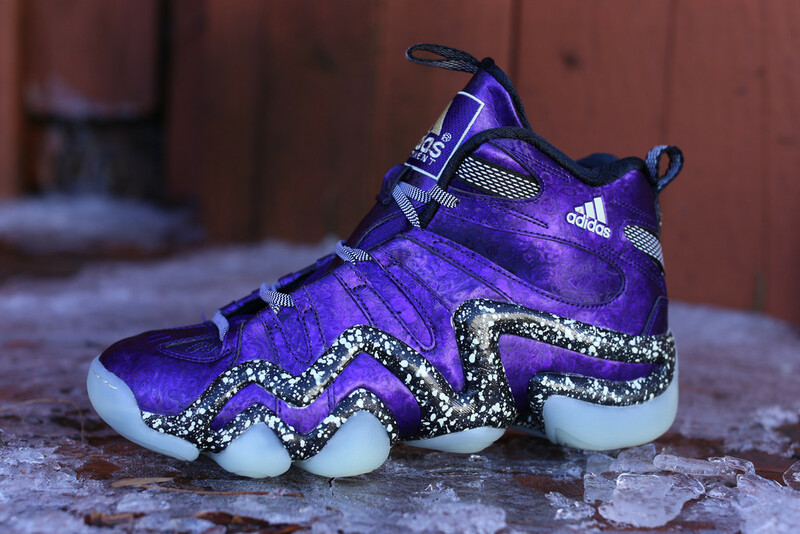 The Adidas Crazy 8 “Nightmare Before Christmas” releases 12/20 for $135 at select retailers. Check out our complete Christmas Release Roundup Page for more info on limited Christmas colorway releases.